Sixty-four Kroger pharmacies in Virginia are making the opioid overdose reversal medicine Naloxone available without a prescription. Virginia State Health Commissioner Dr. Marissa Levine recently declared the opioid addiction crisis a Public Health Emergency. Dr. Levine issued a standing order allowing all Virginians to obtain the drug Naloxone which can be used to treat narcotic overdoses in emergency situations. By the end of 2016, the numbers of fatal opioid overdoses were expected to increase 77 percent, compared to five years ago. In Virginia, more people die from opioid overdoses than fatal car accidents. “We have provided our pharmacists with additional training and guidance on substance abuse,” said Michelle Fountain, pharmacy __ for Kroger’s Mid-Atlantic Division. “We have produced educational materials for patients, and we now are prepared to dispense Naloxone. “In this way, Kroger pharmacies will help make a life-saving tool available to those who have a family member or friend who suffers from an opiate addiction,” she added. 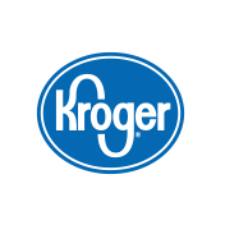 Kroger pharmacies are located in Hampton Roads, the Richmond region, the Roanoke Valley, Charlottesville, Lynchburg, the New River Valley, Abingdon, Bristol, Martinsville, Rocky Mount, Smith Mountain Lake, Clifton Forge, Lexington, Waynesboro, Staunton, Harrisonburg and Appomattox.